Viola lessons via the internet are now possible because of the advancement in technology. More highly skilled teachers are realising that their knowledge is not confined to students who study with them in the same city or country. It is now becoming more commonplace to give viola lessons on Skype too many more places around the globe. Students and parents are beginning to realise the advantages of taking viola lessons via the internet. The most effective way to conduct viola Skype lessons is to make sure that the technical side of things are sorted first. Natural light should come from behind the the computer as this will improve the picture to its maximum definition. When electric light is being used then avoid the computer screen being placed directly into the light. Time zones of course must be understood as for example, a lesson given in the UK at 8am (early start!) is 4pm in Hong Kong. When viola Skype lessons begin, it is important that the student is in the correct, and that their computer is at the correct height. The teacher should type in the date and begin typing instructions into the SMS at the bottom when required. Numbered bullet points on how to correct problems as they arise is very effective, and the use of bar numbers can make this extremely precise. The student can then print the information supplied at the end of the lesson. It is advisable that they practise, at least for the first few days, following the order of the typed notes.This will make viola lessons via the internet extremely effective. To save time music can be scanned by the teacher with suitable bowings and fingerings and visa versa. Please note that if the Skype teacher is not the main teacher, then the student or parents should seek approval from the regular teacher. 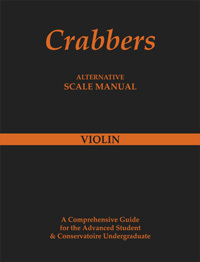 For the serious student the other major factor having viola lessons via the internet is that it is advantageous to take shorter and more frequent classes. More contact time will mean improved progress for all involved. Viola Skype lessons are here to stay.